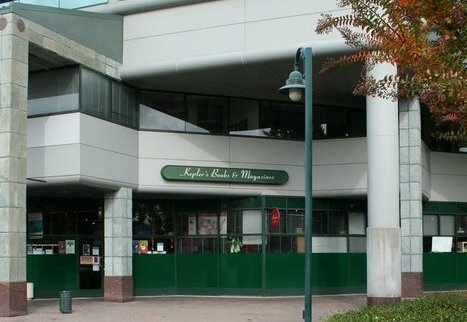 Kepler's Books in Menlo Park, Calif., has created Kepler's Literary Foundation, an independent, nonprofit organization that will produce and host literary and community events separate from the 62-year-old independent bookstore. Kepler's Literary Foundation is a result of Kepler's 2020 Project, a community-led reimagining of the bookstore's role that began in 2012, and will run events pertaining to a variety of literary, social and cultural topics. "As an independent nonprofit literary arts organization, KLF will be positioned to fulfill its mission of engaging, enriching, and inspiring the community through the arts, culture, science and literature," said Jean Forstner, executive director of Kepler's Literary Foundation, who earlier was director of programming and operations for Kepler's. Forstner added: "Community support is critical to our mission. We invite the community to participate in our programs and support them through volunteering and tax-deductible donations." The nonprofit was formed in 2013 as Peninsula Arts & Letters, the Mercury News reported. Until recently, it had no board of directors and was subsidized by Kepler's Books. The organization is now independent, funded entirely by community donations and has a founding board chaired by Patrick Corman, a Silicon Valley marketing and communications consultant. Kepler's chief executive Praveen Madan, tech entrepreneur and investor Dan Gilbert, chief operating officer of Twine Beth Morgan and creative writer and nonprofit executive Anne Dimock will also serve on the board. Among KLF's programs are a speaker series featuring authors, scientists, politicians and historians; literary events in local schools; a syndicated radio program called In Deep with Angie Coiro; an event series focusing on emerging Bay Area writers called Story Is the Thing; quarterly literary seminars; and an assortment of literary discussion groups. Bookie's, a new and used bookstore in Chicago, Ill., has moved into its new location at 10324 S. Western Ave. in the Beverly neighborhood. The store, which announced a pending move in April, posted on Facebook last week: "We promised to be open for business, and we will be, but we'll call this our soft opening--maybe even our mushy opening. For one reason or another, the stars didn't align to get everything completely done, but we feel it's worth it to open--even with a few empty or non-alphabetized shelves. But we want you here to see what we've done, and we think you'll be impressed with what we've created for you. Just consider it a work in progress." Owner Keith Lewis told DNAInfo Chicago that a grand opening celebration will be held for the location, which doubles the store's retail space, after a new awning arrives. The layout allows for more natural light, browsing among spacious aisles and places to sit. "I am very pleased with the way things turned out," he said. "It's been almost universal positive feedback. [Customers] love the space in here.... I just want a fun space." Long term, Lewis plans to transform the former storefront into an event space called Bookie's Annex, which will debut after the new store is up and running smoothly. In North America, Dorling Kindersley announced a new senior leadership team. 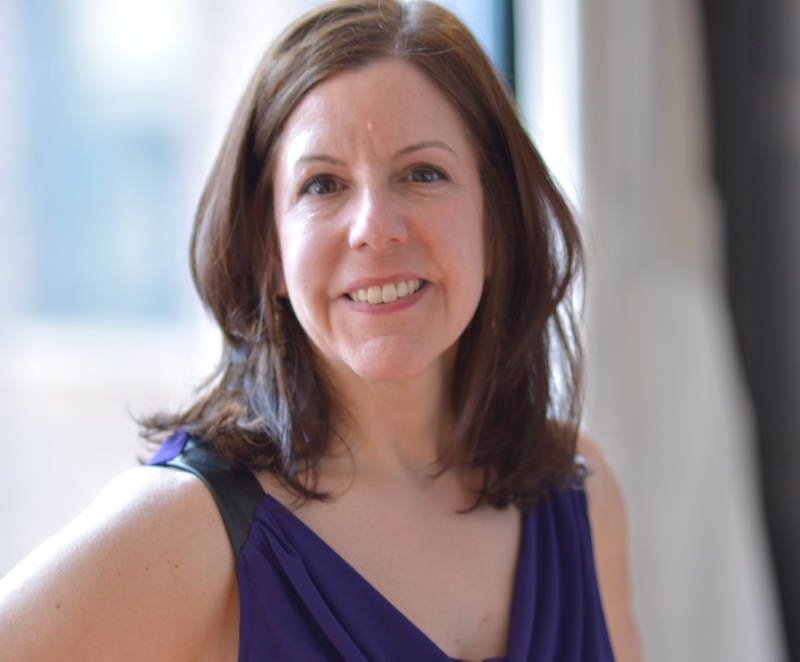 Mary Marotta has joined DK as v-p, sales, marketing & publicity, with responsibility for sales, consumer and brand marketing, and publicity, for all divisions. She was formerly v-p, director of children's sales, at Simon & Schuster and deputy publisher. She has also held senior sales positions at Scholastic. DK COO Shaun Hodgkinson said Marotta's "wealth of experience will enable us to drive sales, and ensure we deliver data-based decision making and strategic channel management, with an emphasis on sustainable, profitable growth." Brandi Larsen has joined DK as v-p, publishing, and will work alongside the global publishing teams to "maximize DK's presence in North America" and provide "local-market insight to shape our global program and oversee the development of a robust local list. Brandi also brings expertise in creating and managing publishing strategies, data management, and specifically metadata best practice." She was formerly digital publishing director at Penguin Random House and earlier oversaw Penguin's Book Country business and been content director at Tribune Interactive. 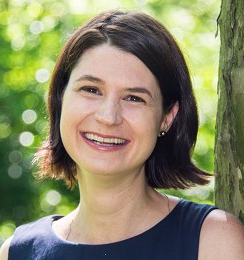 Monika Schlitzer has been promoted to the newly created role of managing director of Dorling Kindersley's German arm, DK Verlag, the Bookseller reported. Schlitzer joined DK Verlag in 2000 and was previously the publishing director. "Monika has immense experience as an innovative and successful publisher, creating an impressive local and international publishing program," DK CEO Ian Hudson said. "Under Monika's leadership we plan to continue DK Verlag's success story and grow the business for the future." Akira McKinzie has joined the American Booksellers Association as its social media coordinator. Bookselling This Week reported that she "will work on a part-time basis to manage the ABA and IndieBound social media accounts and will use them to connect with ABA membership, the book industry and consumers, and spread the word about ABA, indie bookstores and IndieBound." McKinzie succeeds Catherine Cusick, who left ABA in April, and will report to membership and marketing officer Meg Smith. "I'll be creating digital social media campaigns for two different brands: the ABA brand and the IndieBound brand," she said. "It's two different types of marketing campaigns: one is member-facing and one is consumer-facing, so it's keeping two different ideas in mind but also blending everything into one cohesive message, which is about how great independent bookstores are and how people should shop local." McKinzie can be reached via e-mail at akira@bookweb.org or direct messaging on the ABA and IndieBound Twitter and Facebook pages. 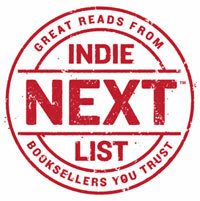 Yesterday, the American Booksellers Association's e-newsletter edition of the Indie Next List for July was delivered to more than a third of a million of the country's best book readers. The newsletter was sent to customers of 111 independent bookstores, with a combined total of 428,000 subscribers. The e-newsletter, powered by Shelf Awareness, features all of the month's Indie Next List titles, with bookseller quotes and "buy now" buttons that lead directly to the purchase page for the title on the sending store's website. The newsletter, which is branded with each store's logo, also includes an interview (from Bookselling This Week) with the author or authors whose book was chosen by booksellers as the number-one Indie Next List pick for the month, in this case The Rise and Fall of D.O.D.O. by Neal Stephenson and Nicole Galland (Morrow). For a sample of the July newsletter, see this one from Arcadia Books, Spring Green, Wis., which just began sending the e-version of the Indie Next List. Denys Johnson-Davies, an Englishman living in Cairo "who translated more than 30 Arabic novels, short story collections and anthologies," died May 22, the New York Times reported. He was 94. Johnson-Davies "made it his life's mission to bring the writers he loved, and in many cases knew personally, to an international audience" and became "a one-man cottage industry, translating more than 30 Arabic novels, short-story collections and anthologies, including the works of the Egyptian writers Tawfik al-Hakim and Mohamed el-Bisatie; the Iraqi writer Abdul Malek Nuri; and the Palestinian poet Mahmoud Darwish." He was best known for his translations of Naguib Mahfouz, "whom he came to know in Cairo immediately after World War II, well before many Egyptians were even acquainted with his work," the Times noted. After Mahfouz won the Nobel Prize in Literature, Johnson-Davies translated his The Time and the Place & Other Stories (1991), The Journey of Ibn Fattouma (1992), Arabian Nights and Days (1995) and Echoes of an Autobiography (1997). Called "the leading Arabic-English translator of our time" by Edward Said, Johnson-Davies "exposed Western readers to the diversity of contemporary Arabic literature in a series of important anthologies. These included Egyptian Short Stories (1978), Under the Naked Sky: Short Stories From the Arab World (2001) and The Anchor Book of Modern Arabic Fiction (2006)," the Times wrote. His most recent work of translation, Homecoming: 60 Years of Egyptian Short Stories, was published by the American University in Cairo Press in 2012. Tomorrow is opening day for the new Bookmarks bookstore in downtown Winston-Salem, N.C., where the nonprofit literary organization will also have offices, a café and an event and gathering space. Helping get the store ready: operations director Jamie Rogers Southern (r.) and her husband, Ed Southern, executive director of the North Carolina Writers' Network, wearing a striking good luck charm. 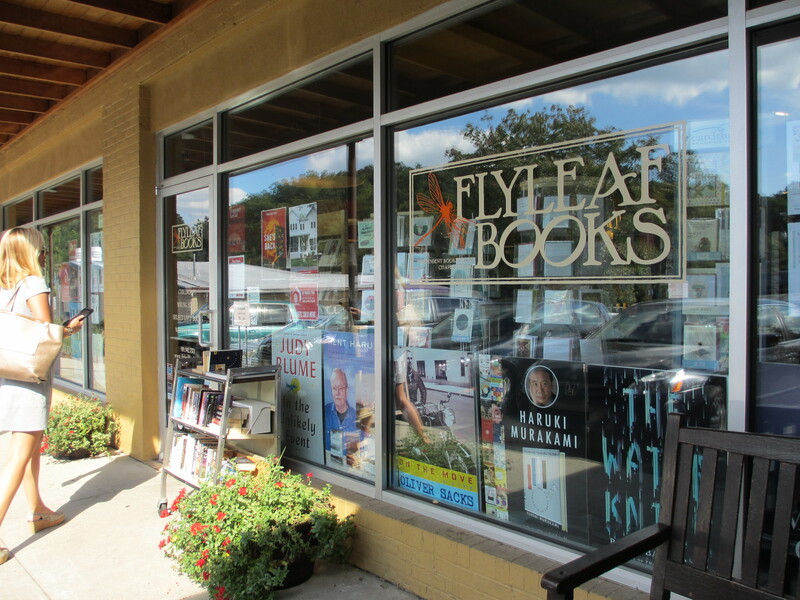 Flyleaf Books, Chapel Hill, N.C., was voted "Best Bookstore" by readers of INDY Week for its "Best of the Triangle 2017" list. The citation noted: "So here's to the bookstores that are still persevering and the invaluable service they provide despite the changing marketplace." Phil Sexton has joined Media Lab Books as v-p and publisher. He was most recently v-p and group publisher at F+W Media, where he oversaw Writer's Digest and Sky & Telescope. Mark Anderson has joined Parallax Press as marketing director. A 30-year publishing veteran, Anderson has worked in sales, marketing and design, and in the last 10 years focused on marketing and digital content creation. Kristi Smith has been promoted to director of marketing at the W Publishing Group, an imprint of Thomas Nelson. She has worked for Nelson for 18 years. Breaker and the Sun (A Paper Stars Novel) by Lauren Nicolle Taylor (Clean Teen Publishing). Fresh Air: Jonathan Safran Foer, author of Here I Am: A Novel (Picador, $17, 9781250135759). Weekend Edition: Karin Tanabe, author of The Diplomat's Daughter: A Novel (Washington Square Press, $16, 9781501110474). FX has acquired the rights to adapt Mark Bowden's Huế 1968 into a limited event series, Deadline reported. Michael Mann and Michael De Luca are teaming up for the project, with Mann directing multiple installments of the series, including the opener, as well as producing alongside De Luca and FX Productions. Plans call for filming to begin later this year in Asia. Deadline had revealed in April that Mann and De Luca acquired the book on their own. Mann called it "a masterpiece of intensely dramatic nonfiction," noting that Bowden's achievement is in making “them into us.... We are them. There are no background people; people abstracted into statistics, body counts. There is the sense that everybody is somebody, as each is in the actuality of their own lives. The brilliance of Bowden's narrative, the achievement of interviewing hundreds of people on all sides and making their human stories his foundation, is why Huế 1968 rises to the emotional power and universality of For Whom the Bell Tolls and All Quiet on the Western Front." The producers chose FX "largely because of an affinity toward network chief John Landgraf, whom Mann considers an auteur executive in the mold of Brandon Tartikoff when Mann made Miami Vice and Crime Story at NBC, and Mike Lombardo at HBO when Mann and David Milch teamed on Luck," Deadline noted. M.G. Leonard won the £1,000 (about $1,295) Branford Boase Award, which is "given annually to the author and editor of the outstanding debut novel for children," for Beetle Boy. Barry Cunningham and Rachel Leyshon, her editors at Chicken House Books, were each presented with a hand-crafted silver-inlaid box. Chair of the judges Julia Eccleshare said, "The U.K. children's book market is booming, and our shortlist reflected all the new vigor and excitement in the market. M.G. Leonard is a classic storyteller, in the tradition of Roald Dahl or Dodie Smith, but an original voice. We predict that once again the Branford Boase Award judges have recognized an author who will be thrilling young readers for decades to come." Winning editors Leyshon and Cunningham called Leonard "one of the best debut authors we'd ever come across--one who knew the story she wanted to write, and who was then so willing and able to beetle away on it, editorially speaking. We are thrilled that she has received this hugely important recognition of her talent and originality, and feel sure that this marks not just a celebration of one book, but also the launch of a famous career." Diksha Basu is a writer and occasional actor. 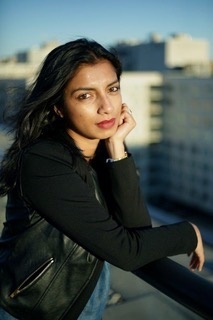 Originally from New Delhi, India, she holds a BA in economics from Cornell University and an MFA in creative writing from Columbia University and now divides her time between New York City and Mumbai. 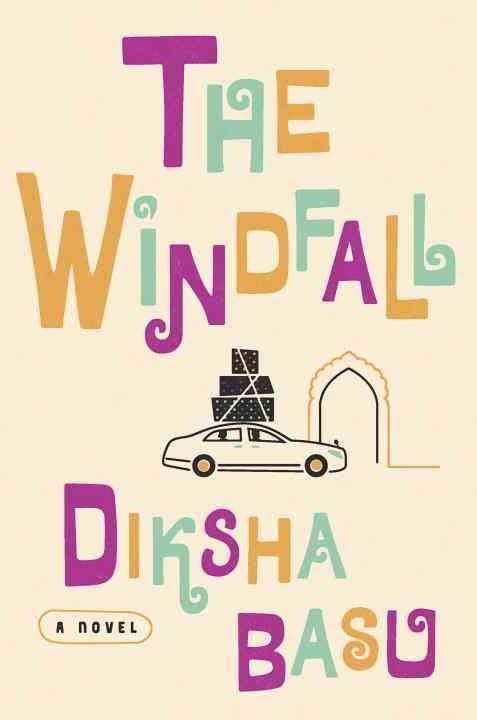 Her debut novel, The Windfall, is published by Crown (June 27, 2017). The Gene by Siddhartha Mukherjee. The Incognito Lounge and Other Poems by Denis Johnson--I've been revisiting this since he died and every line is still electric. "Heat" is my favorite poem in this collection. Dr. Spock's Baby and Child Care--I have a newborn and I like the idea of referencing books instead of Google when I have questions. But Google is so much faster and easier that I end up Googling much more often than I'd like and then promptly spiral into a pit of medical anxiety. I remember when I was growing up, my parents had a book called Where There Is No Doctor, even though there were doctors where we were. I should try to find that book--I used to love reading through it--maybe my medical anxieties started earlier than I remember. One Day We'll All Be Dead and None of This Will Matter by Scaachi Koul. Enid Blyton but that's no longer considered appropriate, right? Isn't her work really racist and xenophobic? When I was a child, I just loved the Malory Towers series, but I should revisit her books now and decide whether or not I want to give them to my daughter when she's the right age. I also loved the Russian book When Daddy Was a Little Boy by Alexander Raskin. It's out of print now, but my brother somehow found a PDF of it. There's no way I can answer this without wanting to constantly change my answer--it's like that Friends episode in which Ross laminates the list of celebrities he could sleep with. Is it dreadful to make a Friends reference for a literary website? I apologize. Let me pick my top five authors but I wouldn't laminate this list. Infinite Jest by David Foster Wallace. If you're in an MFA program, it's just easier to pretend you've read it. The Dud Avocado by Elaine Dundy--I bought it at a used bookshop and it has the back of a woman in a strapless gown walking down an empty street. Coffee, Tea or Me? by Donald Bain. A lifetime of reading but no one specific book--that's too much pressure on any one book. The Most of Nora Ephron. Abol Tabol by Sukumar Ray--it's a collection of Bengali (my mother tongue) poetry for children (but really also for adults) that was written in 1923. Straight Man by Richard Russo. The Ink Dark Moon: Love Poems by Onono Komachi and Izumi Shikibu, Women of the Ancient Court of Japan--this is also a book I gift to people. These short poems of love, longing and sexual desire were written by two women of the Heian Court in Japan between the 9th and 11th centuries. Nigella Express by Nigella Lawson--my tattered copy of this cookbook goes everywhere with me. Lawson is a global treasure. Walter Lavender Jr. is a 12-year-old with a motor speech disorder, a brain pathway dysfunction that prevents him from producing the words he wishes to speak. This keeps him mostly silent--trapped as a perpetual "observer, separated from everyone else and unable to be part of the story." Walter may be isolated and withdrawn, but this "crazy, weird, genius kid"--with a penchant for wearing high-top sneakers--is very bright and fully comprehending. Over the years, he's learned to adapt and cultivate an uncanny sense of perception: he can readily pick up clues and make connections others often miss. This turns him into a sought-after expert at finding lost things. Walter, having solved 84 cases, has proven successful in reuniting pets, fashion accessories, electronic devices, cherished heirlooms and even valuable musical instruments with their rightful owners. 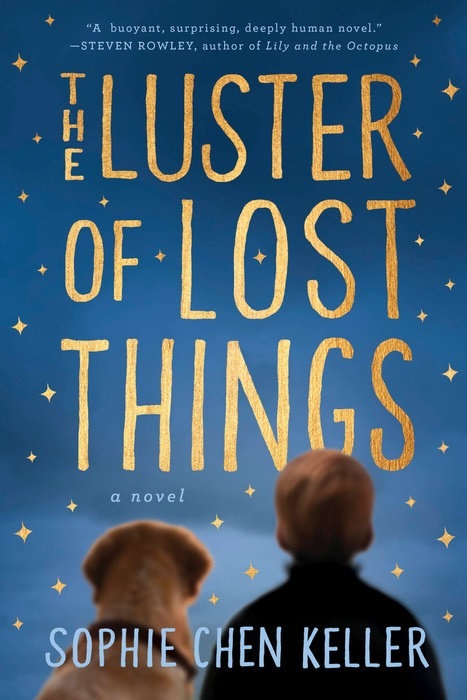 Despite finding other people's prized possessions, a great sense of loss marks Walter's own life. His hard-working, single mother, Lucy Lavender, has regaled her son with stories about his father, an airline co-pilot who disappeared on a flight en route to Bombay just three days before Walter was born. This absence shapes the boy's life as he longs for the day his father will finally find his way back to them. In the meantime, Walter skirts bullies at school and spends time at The Lavenders, his mother's eclectic bakery in the West Village of New York City. Devoted patrons believe the desserts are magical--the angel food cake is light enough to whisk away pounds, and carefully crafted marzipan dragons breathe fire. The centerpiece and good luck charm of the success of the bakery, however, is a treasured, leather-bound manuscript--an illustrated winter's tale of lost love. When the book goes missing, the shop takes a nosedive: the magic suddenly evaporates from the desserts, business drops off, a French bakery opens a few doors away and the landlord threatens to double the rent at The Lavenders. Fearful that all will be lost, Walter commences his 85th--and most personally challenging--case. He takes a journey to recover the treasured leather book, believing that if he can find it, he can save the shop and restore its former glory. With straightforward prose, Sophie Chen Keller tells this insightful story from Walter's singular point of view. He sets off with Milton--his overweight, dessert-loving golden retriever--on a quest that takes them into the dark nooks and crannies of New York. There they meet a diverse set of misfits, including a bottle thief, a childless couple who feed rats and a man missing his pinkie fingers. Through each encounter with the rejected and shunned, the disappointed and heartbroken, Walter finally discovers his own voice. This is a feel-good, message-driven story about the restorative power of human connectedness and how acts of kindness can ultimately change lives. --Kathleen Gerard, blogger at Reading Between the Lines. Shelf Talker: A gifted, fatherless boy with a communication disorder goes on a quest to save his mother's magical bakery. As far as handselling graphic novels is concerned, my connection began in another century when I read Art Spiegelman's Maus, which we shelved in biography/memoir section. But that was the extent of my knowledge in the early 1990s. More than two decades later, I'm still no expert, though one of my favorite books this year, Imagine Wanting Only This by Kristen Radtke, is a graphic memoir. I am, however, intrigued enough by the medium to have attended two education sessions during BookExpo on graphic novels, featuring booksellers who know a lot more about the subject than I ever will. Here are some highlights from their discussions. Rachel Person, events manager at the Northshire Bookstore, Saratoga Springs, N.Y.: "A kid will come in wanting a graphic novel and the parent or the grandparent or the teacher will be the reluctant one. So it does sometimes take some gently pulling of that adult along to where the kid already is. One of the things I talk to those adults about a lot is visual literacy. I also bring up, from personal experience, my children and how every time I've seen them waiting, ready to make a leap to the next reading level, it's a graphic novel that gets them there. That's something you can talk about.... And it does often get the adults to see there's real value in a comic for a kid." Maryelizabeth Yturralde, co-owner of Mysterious Galaxy Bookstore, San Diego, Calif.: "Maybe it's because, as a specialty genre store, our culture is so much geek culture, the grandparents are not necessarily an issue because they're my peers. And like me, they've been reading comics that they understand.... For us, more than anything else, what we're relying on is trust in our booksellers. If our bookseller who's a great handseller of middle grade novels is someone that the parents have learned to trust for recommendations, they're going to take it regardless of format, with a little more conversation sometimes about how does this work." Geo Ong, manager of Greenlight Bookstore in Prospect Lefferts Gardens, Brooklyn, N.Y.: "I'm just really lucky. This situation isn't as difficult as I would assume it to be.... Our customers tend to really trust our booksellers and we have a lot of people on the staff who do love graphic novels and speak about them enthusiastically. And so the adults and parents and grandparents who may or may not have read graphic novels before will entertain the notion because we can speak about it and they can see that their kids are enthusiastic about reading." Terence Irvins, assistant manager, graphic novels & comics, Books Kinokuniya, New York City: "I think the only difficulty is when you have parents who have some issues with content, so their inexperience with what's actually done in the medium shows in the choices they want to make for their kids. Especially when the kids are actually reading on their own and have advanced towards stuff that their parents might have some hesitation about. Overall, however, I see an enthusiasm from parents because they see what their kids are enthusiastic about themselves and they want to be closer to that." Michael Link, publisher relations & events manager at Joseph-Beth Booksellers in Cincinnati, Ohio: "As we talk about the moment that we're in politically, it seems like some of these books--some new, some old--have an important role to play. And we can bring them to the forefront and find new audiences.... One of the things we're doing with display tables is making the intentional choice to try to include graphic novels where it makes sense.... Putting titles on display that might not have the same name recognition; that may not be something someone is coming in specifically to buy." Michael Bender, buyer at Community Bookstore, Brooklyn, N.Y.: "Our whole graphic novel section has a lot of faceouts and I've definitely been trying to highlight some of these titles. But actually, my co-worker Dana, shortly after the inauguration when the travel ban kicked in, made an amazing table that was maybe a third books about illegal immigrants, a third books about refugees to the U.S. or other places, and a third books from countries that were part of the travel ban. That was not just graphic novels, but we still have that area, so it's almost like its own mini-section." Zazu Galdos-Shapiro, buyer at the Bookloft, Great Barrington, Mass. : "To educate our booksellers, one of the things I've been doing is pulling books that I think will appeal to people based on their general reading habits regardless of format. Threads [by Kate Evans] is something I was totally blown away by. There are a couple of people in the store I'm going to hand it to because it's not something they would necessarily pick up.... but based on what they've read in the past I think they would really gravitate to it." Marika McCoola, buyer at Porter Square Books, Cambridge, Mass. : When customers are hesitant about graphic novel price points, "I think there's a really important thing to point out which is that rereading things is perfectly legitimate and it's actually very good for the kids to do.... They're getting different things out of it. There's something special about following up with a story and living in it and reading it and keep rereading it. Sometimes when I hear parents say, 'No, you've already read that one,' I try to talk them out of that because there's nothing wrong with rereading a book." "Mostly," Maryelizabeth Yturralde observed, "I'm still selling on story, just because I'm a words girl."